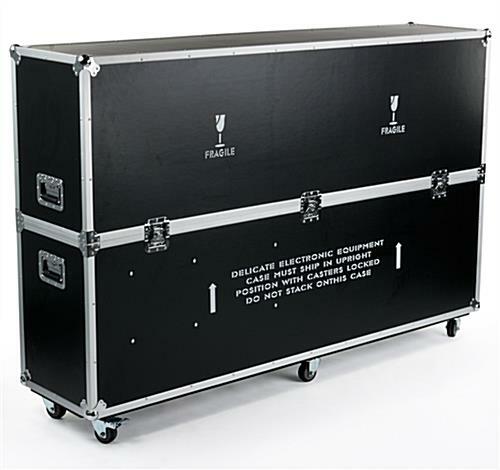 TV road crates help keep plasma and LCD screens safe from damage during transportation. 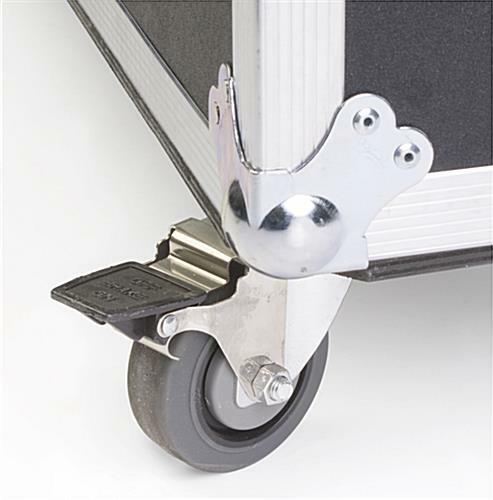 (2) Locking caster wheels to secure stability while loading and unloading electronics. EVA foam padding helps secure TV into place while protecting the device from bumps and scratches. Handles are retractable for effortless LCD caddy maneuvering. 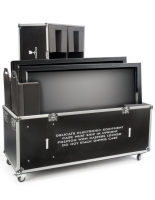 This LCD shipping container, flat screen tv case can hold a monitor up to 73” large. 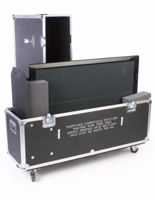 These travel caddies accommodate screens that are 55”, 60”, and 72” wide. 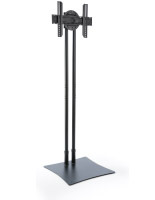 This heavy duty flat screen tv case is versatile and able to accommodate several LCD models. The foam padded lining on the interior of the caddy can be repositioned and cut down to fit different monitor sizes. 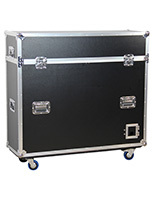 Each flat screen tv case that has foam padding is made of ABS laminate and plywood. These materials make the containers heat and stain resistant for full electronics protection. 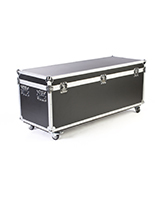 Each flat screen tv case safely transports LCD monitors. The (6) wheels make it so the average person can comfortably move the container single handedly. 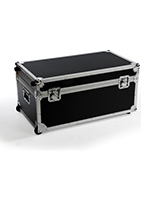 Durably constructed recessed handles provide an easy grip to maneuver the case. 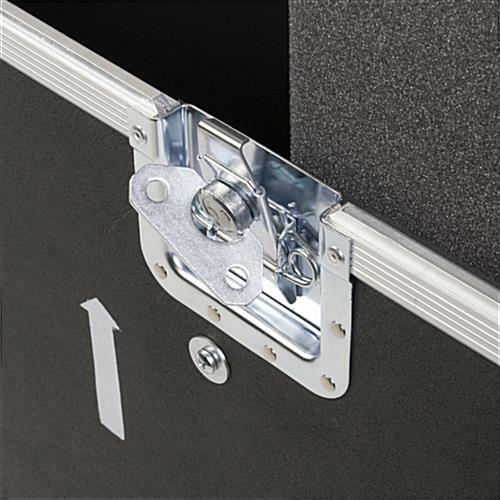 This flat screen tv case for trade shows has two locking caster wheels. 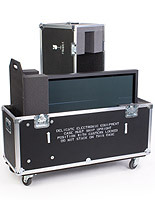 The locking mechanisms make it easy to load and unload LCD monitors. 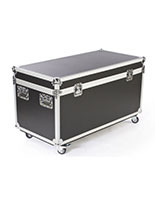 This portable 80” monitor container, flat screen tv case that locks has extra space for accessories such as cable cords so that all electronics can be organized into one container for effective use. 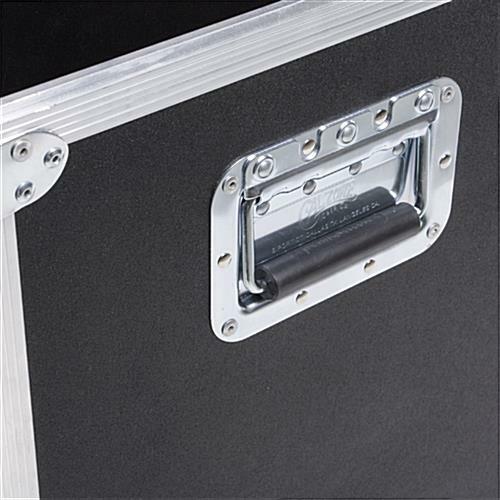 Every flat screen tv case that protects 73” LCD screens feature secure chrome plated iron latches that keep the cover firmly attached to the case. These road crates are great for transporting valuable LCD electronics. 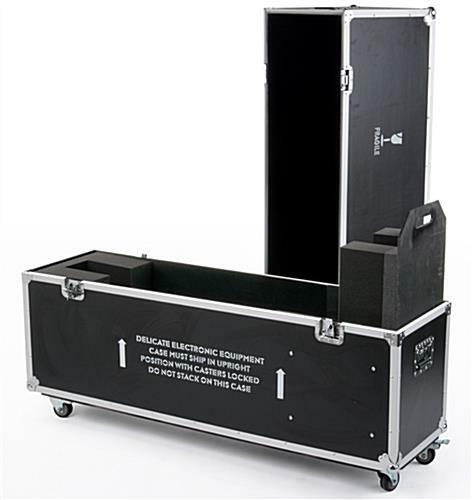 The flat screen tv case, such as a road caddy, is great for tradeshows and exhibits to display important information. Keeping expensive plasma screens damage free during transport, these shipping crates are a great investment! 82.0" x 55.0" x 21.5"
Hi Nick, Thank you so much for the great review regarding our customer service! We are thrilled that we were able to clear up any issues you had and we're glad you're happy overall with your purchase. Please let us know if we can be of additional help and we look forward to working with you again soon!